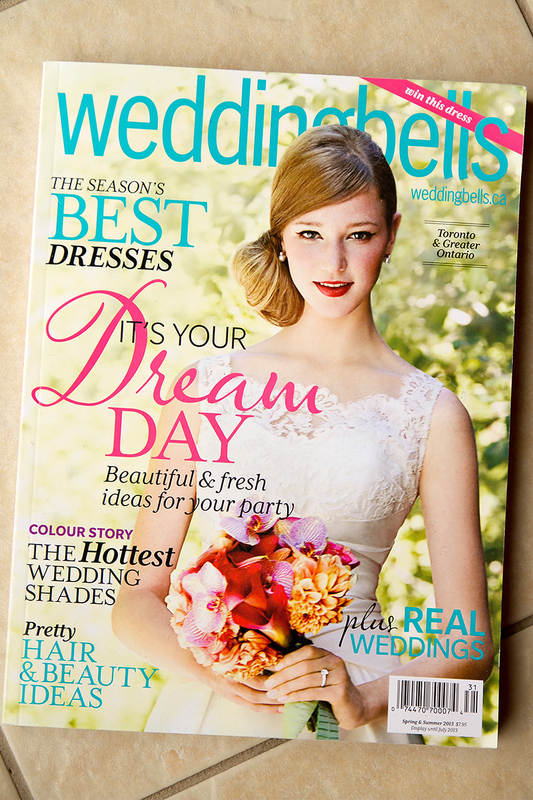 I've been carrying a copy of weddingbells magazine around with me for a month now. It goes with me in the car, to visit friends and even to Christmas dinner! I've been proudly showing everyone my page. It is about time to show it off here too! 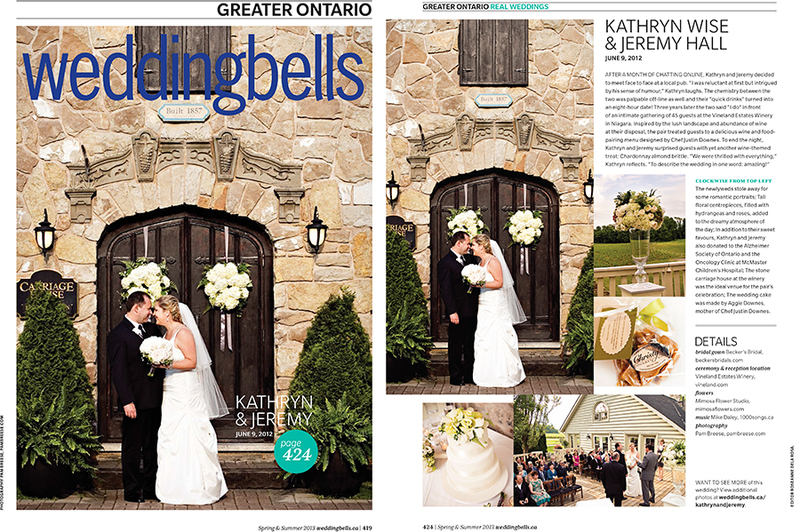 I am thrilled that Kathryn and Jeremy's June 2012 wedding was featured as a real wedding in the Spring and Summer 2013 issue of weddingbells! Have a peek! This wedding was also featured in greater detail on weddingbells.ca. See my post about that here!